Everyone knows the old idiom “Don’t Bite the Hand that Feeds You”. It is often used in the context of criticizing someone or some place that helps and/or pays you. It is also often used against me when I’m on one of my Microsoft tirades. Yes, the majority of my job requires me to use Microsoft tools and technology. I think my years of experience, however, gives credence that my rants are not “biting the hand that feeds you“. In my opinion, it’s “biting the hand that’s punching you in the face”. 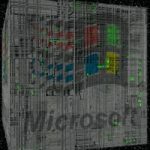 I am going to pick on Microsoft again to illustrate my point because they are the easiest target. However, to be fair, any of the big tech companies can just as easily serve the same purpose. I have been working in .NET for more than 12 years. 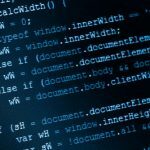 I have been developing solutions using a plethora of Microsoft products dating back to Visual Studio 2003. Since I am using Visual Studio as a point of reference to establish a time frame, I will start with that particular tool. In fact Visual Studio is a great way to start on a high note because I love Visual Studio. I don’t think there is a comparable product out there that makes developing any easier. Combining the two database management tools into one tool, i.e. SQL Server Management Studio, was brilliant and again incomparable. I loved Windows 7 and Windows 10 isn’t too bad either. So while I do have a few kind things to say about some of Microsoft’s tools, it hasn’t all been sunshine and rainbows. Yes, for someone who makes a living using Microsoft products I sure do like to pick on them … a lot. I am quite vocal on Facebook, Twitter, at work, in a store about some of the crap Microsoft has created or caused in my life. These are the times when I have had that old proverb quoted at me. After working in the industry for over a decade, I think I have earned the privilege to speak my discontent. 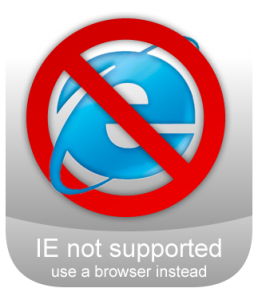 I have been on a huge rant about Internet Explorer lately because I think that is Microsoft biggest mistake. If they had followed the same versioning model as younger browsers then perhaps IE wouldn’t be the most hated browser in the industry. The fact that I have to try to code around 8 different versions of IE but only one version of Chrome and Firefox makes me hate my life. Edge was their second biggest mistake; hello re-skinned IE. Obviously Microsoft thinks we’re all a bunch of idiots. Internet Explorer is the worst offender and the one that lingers. The other asinine business mistakes they have made are already dead or dying. As the joke goes, every even version of Windows was total garbage (Windows 98, Windows ME, Windows Vista, Windows 8) where Windows 8 is probably the worst one to date; not only was it awful functionally but it was aesthetically disgusting. SilverLight was a complete failure. Bing, Zune and Windows Phone are complete jokes. I remember when Windows Phone was announced; I predicted its demise on Day One. What makes Windows Phone especially irksome is it took Nokia with it. Granted Nokia was already struggling but they could have gone a smarter route (like Android) to save their business. News Flash! Microsoft Doesn’t Walk On Water! Working with a company’s technology every day doesn’t mean I should be worshiping them like a god. Apple, Google and Microsoft are often referred to as the “Titans of IT” but not everything they make is gold. If a product is total garbage I won’t go around heralding it just because “it’s Microsoft”. If you make a dumb product or a dumb decision then I’m going to call you out on it. Pretending its great is obtuse and not only are you misleading yourself but your clients and customers. I’m not going to try to sell a client/customer/developer lead on a half-baked product when a third-party product is a better fit. For example, I’ll advocate for Slack before Microsoft Teams because its far easier to use and much more well thought out. Furthermore, I will not advocate for a technology that is going to make my life a living hell. For example I will never suggest SilverLight to anyone! I may be a masochist but SilverLight is a steaming pile of garbage and I’d rather write VB6 for eternity then edit another XAML file. So it’s not “biting the hand that feeds you” you when that “hand” is causing you nothing but daily anguish and regret.